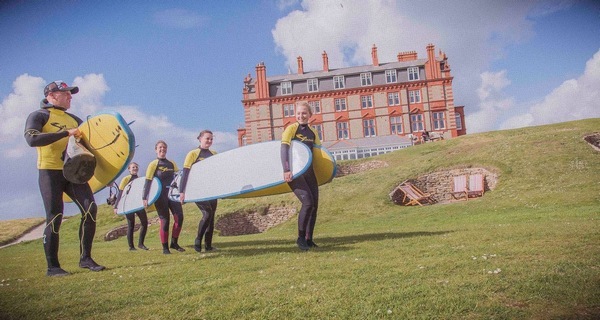 Surf Sanctuary is a boutique surf school with excellent facilities in a peerless location overlooking Newquay's Fistral Beach from the grounds of the iconic Headland Hotel. 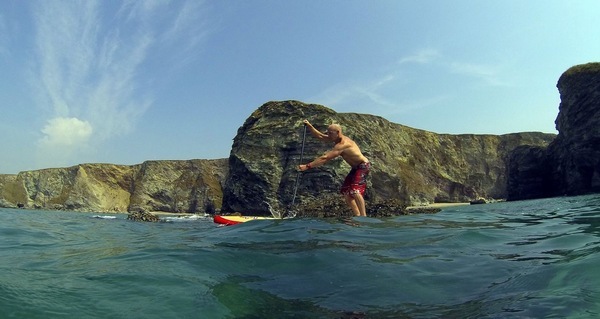 We offer tuition and experiences in surfing, standup paddle boarding, kitesurfing and coasteering. 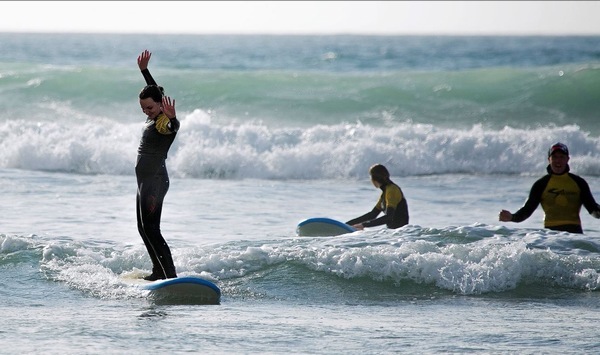 We cater to surfers of all abilities whether you are looking to take your first steps into the water or have been surfing for a while and wish to take your skills further. Individuals, couples, families and small groups are all welccome to come surfing with us. We endeavour to give you your own personal surf coach for your session so that you can learn at a tempo that suits you, and recieve more personal coaching time. 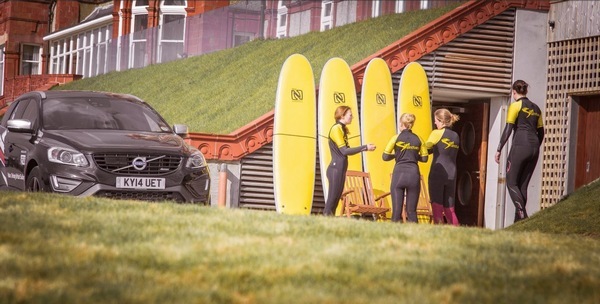 Our centre has warm, secure changing facilities with hot showers, and we only use the finest quality 5mm wetsuits so a tropical surf experience regardless of weather is assured. Thanks to our enviable location we are just a short walk from our centre at the Headland Hotel to the beach, meaning there are no public roads to cross or navigate. Our surf coaches are trained lifeguards and International Surfing Association accredited surfing instructors with many years of surfing and sports coaching behind them. Bespoke lessons are the most popular choice at Surf Sanctuary. 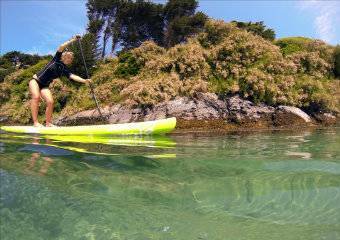 You get your own surf coach and plenty of water time and action is guaranteed! We begin with a fun, engaging warm up that prepares all the muscles we use in surfing for the session ahead. Once in the water, your coach will break down the art of surfing into bite-size chunks for you, providing all the feedback and information you need to learn to surf. When the session is done, your coach will take you through a relaxing warm down and go through any questions or surf topics you want to know about. 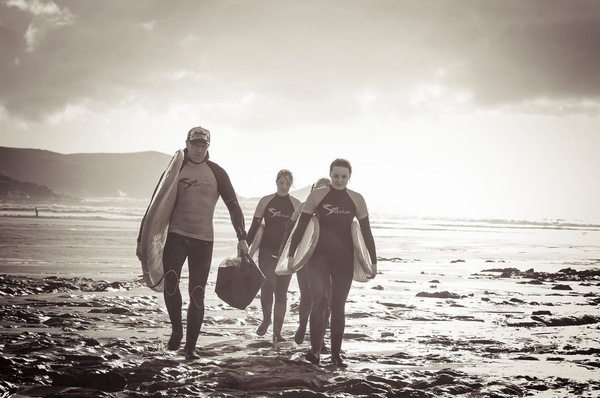 At Surf Sanctuary we feel that the family is at the heart of the best surfing experiences; there really is no better way to spend time than catching some fun waves with your nearest and dearest! The Hawaiians have known this for hundreds of years, and it's what they call 'ohana'. 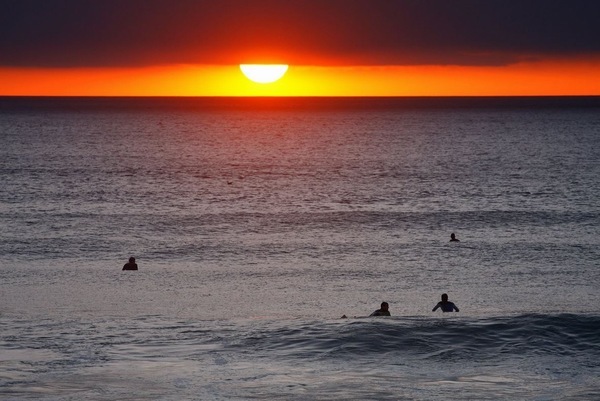 Let us take you and your loved ones for a fantastic, memorable surf lesson at a pace that's just right for you. We keep coach to client ratios really low so that you can be assured all family members are getting the attention they need. 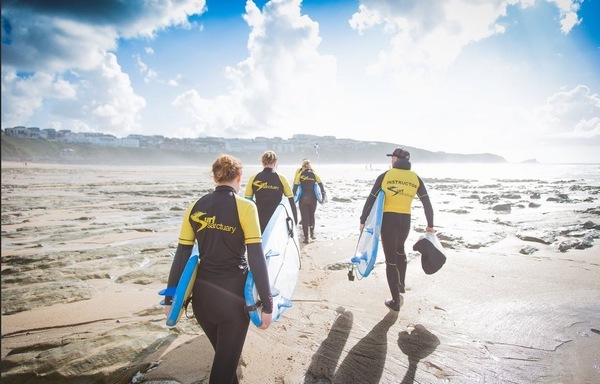 Because it is 'your' session with just you, your family and the surf coach, we can be flexible with start times so you can make every minute of your time in Cornwall count. We offer a full training and development service for people who are serious about getting into surfing and require a more focussed experience. Our coaches hold physical education qualifications along with International Surfing Association accreditations and are able to put together a surfing program that you can follow even when you are not at the beach. For example, would you like to know how to practise core surfing moves in your own home? 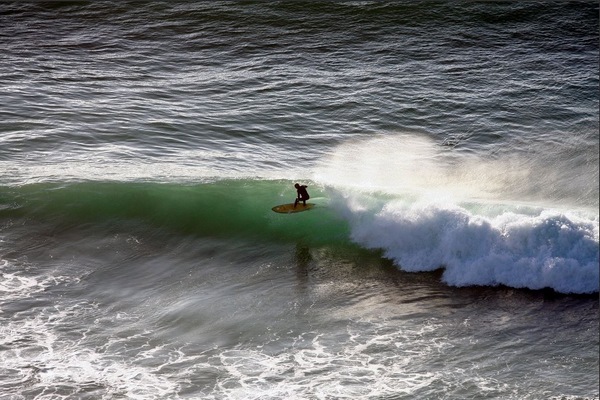 Or the best way to train for surf specific fitness, for you? After a very thorough and informative training session in the surf, our coaches will evaluate your strengths and build a personal program that suits you which you can follow at home, taking into account your the amount of free time you have, ambitions, equipment and proximity to the sea. Surfers of all levels from raw beginners through to intermediates and beyond can benefit hugely from a surf program, there simply is no better way to develop! If you are up and riding but want to punch through to the next level, video coaching could be for you. Your surf coach will either film you from land or by tracking you on a surfboard in the water to collate footage for evaluation later on. During the session, your coach will still be on hand to give you feedback, pointers and training in real-time. Back on land, you will sit down with your coach over a hot drink and your footage will be analysed allowing you to see clearly what you are doing well and what can be improved. Video coaching is an incredibly powerful learning tool and is recommended for surfers of all abilities who are keen to fast track their progression.